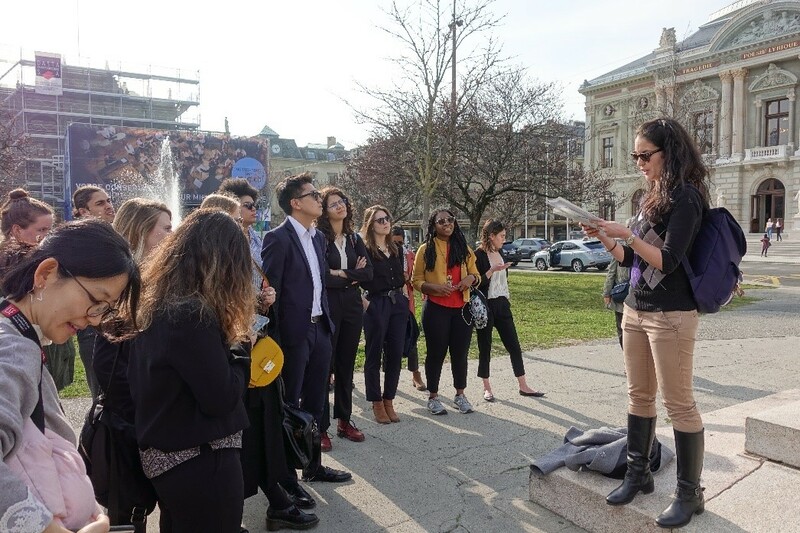 A study trip to the ‘Disneyland for Diplomats’ – Geneva! 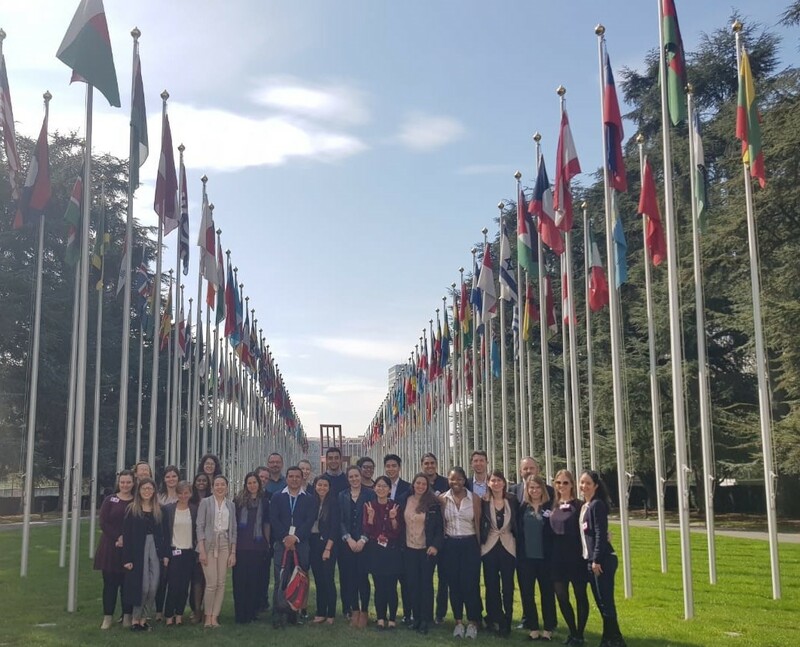 Last week, 25 students from the MSc International Development & Humanitarian Emergencies and the MSc Health & International Development programmes traded in bustling London for beautiful Geneva. 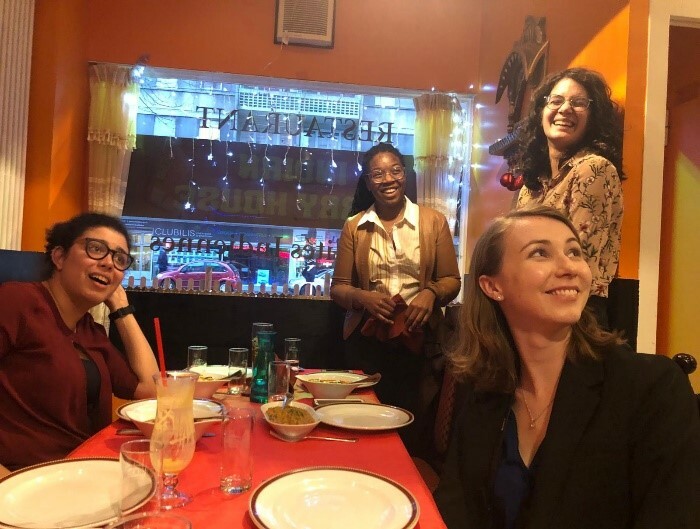 This trip was organized by the student Geneva Trip Committee and accompanied by Professor Stuart Gordon and Student Experience Officer Sarah Neuenschwander. Jamie Holton, co-president of the committee, shares her experience. 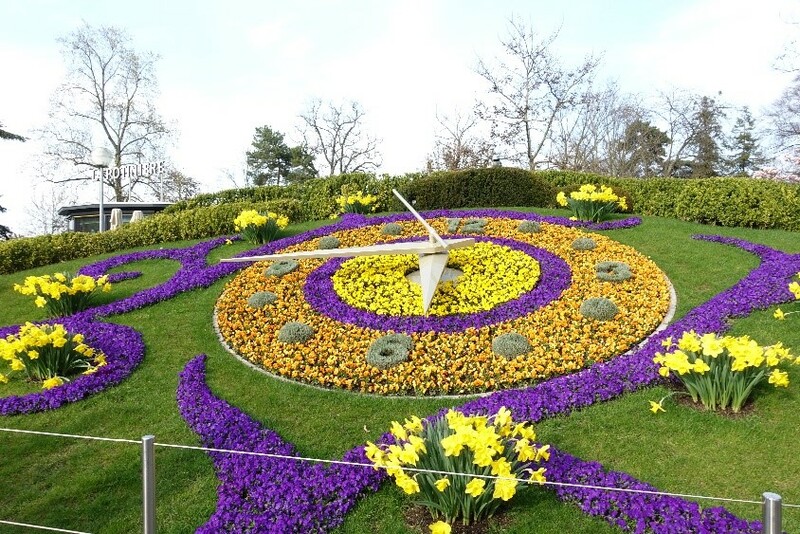 If you have never been to Geneva, imagine a ‘Disneyland for Diplomats’: there are many attractions – read organisations, the city’s park grounds are well maintained, and the food is pretty pricey. But there is also a subtle sense of magic in the air. Since Geneva hosts the most international organisations in the world, it feels like this city is the epitome of leading humanitarian and development work, and most people you encounter here seem to have a shared purpose: to make the world a better place. 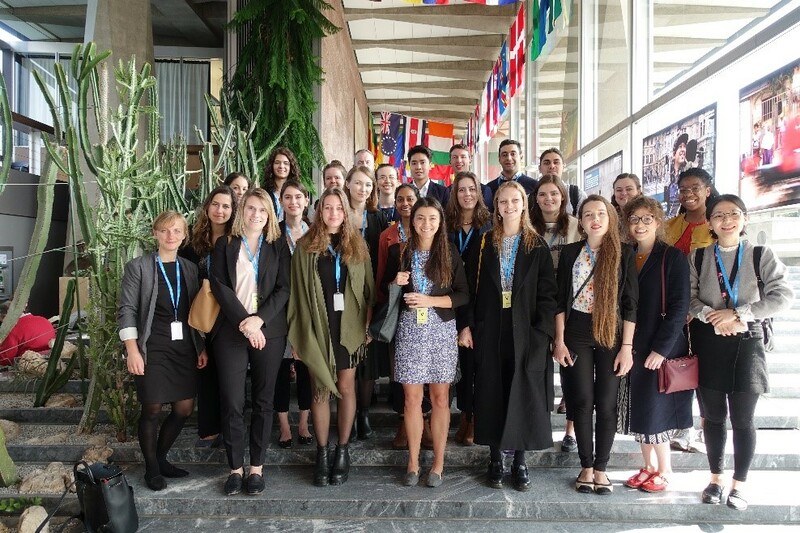 Our first attraction was our visit to the World Health Organisation (WHO). 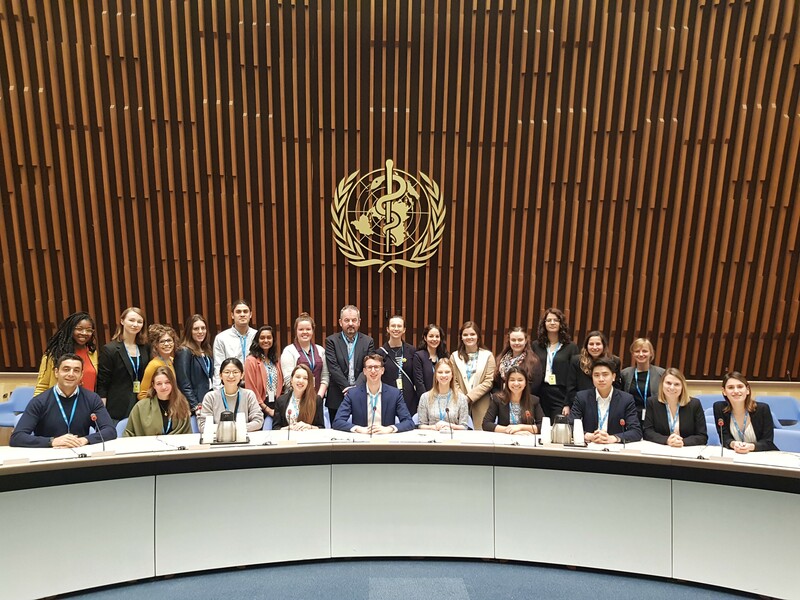 Here we learned more about the WHO’s classification of and response to public health emergencies from Jorge Castilla (Senior Emergency Officer Fragile, Crises and Vulnerable Settings) and intern Irene Djordjevic. Looking more at the preparedness side, Jun Xing taught us about the WHO’s role in supporting countries to comply with the International Health Regulations (IHR). After we received a tour to the executive board room from Dorine van der Wal, we had lunch in the WHO canteen. This really confirmed that WHO takes its focus on health seriously – it was the BEST canteen food imaginable! In the afternoon, we visited the United Nations High Commissioner for Refugees (UNHCR). Johannes Tarvaine (Senior Comprehensive Refugee Response Officer) talked about the new Global Compact on Refugees, which was affirmed by all UN Member States on December 17, 2018. The goals of the Compact are to ease pressure on countries that host refugees and migrants, to enhance refugee self-reliance, to expand access to third country solutions and to support countries of origin so that refugees can return safely and in a dignified manner. The Compact also focuses on implementing the Comprehensive Refugee Response Framework (CRRF) in different contexts, as every host/origin country faces different challenges. Then, we had an historical walking tour by LSE’s very own Sarah Neuenschwander, who studied in Geneva during her undergraduate. While soaking up the sun, we learned about how Geneva has not always been a peaceful city, and how Henry Dunant was the first to advocate for neutral and impartial medical treatment of wounded soldiers to prevent loss of life, which led to the establishment of the Red Cross and the Geneva Conventions. We ended this fantastic first day with a traditional Swiss fondue dinner and some drinks at a pub. Our second day was fully packed! 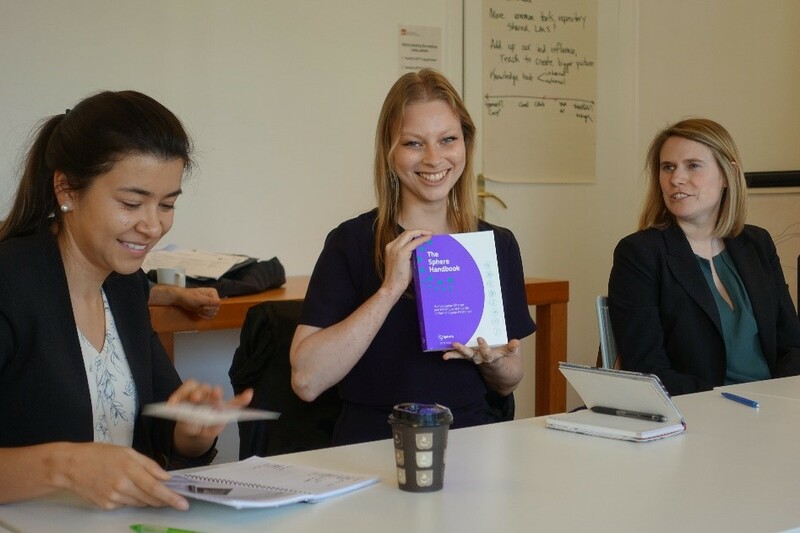 After learning about the new humanitarian standards guidelines from Tristan Hale and Barbara Sartori at Sphere – where Maddie Gough beat us all during their quiz and won a Sphere Handbook – we visited the UN Palais. 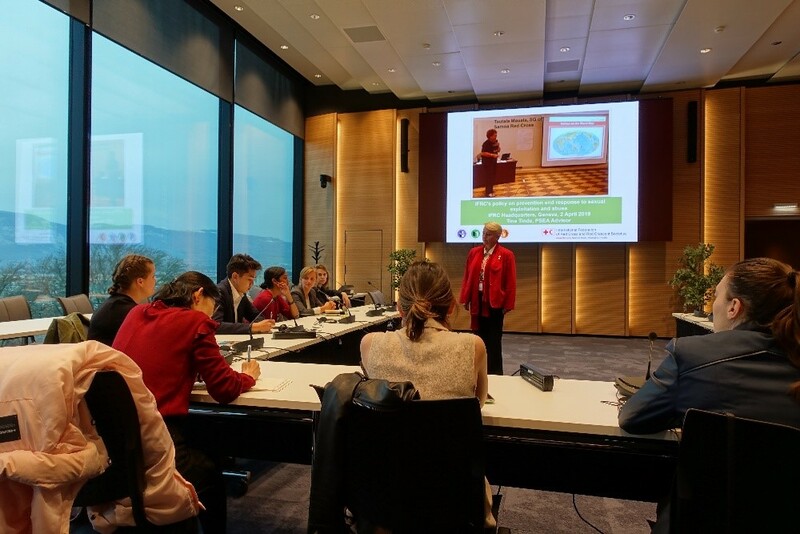 Succeeding a slow security check – Geneva has the finest bureaucracy – we learned from statistician Javier Teran about the UN Office for the Coordination of Humanitarian Affairs (OCHA) Centre for Humanitarian Data. The Centre aims to fasten the speed of humanitarian data to reflect a real-time understanding of crises, to increase connections and partners to facilitate knowledge sharing and collaboration during emergencies, and to increase the use of humanitarian data to inform response and decision-making by both technical and non-technical staff. If we are in a position to share humanitarian data on the Humanitarian Data Exchange (HDX) platform in the future, we know not to share such important data in PDF format! After this, Meghan Sullivan presented the work done by the World Food Programme (WFP) in both the humanitarian and development sector. Due to the increase of protracted, complex crises, hunger in the world has been increasing, as well as the need for collaboration between local, national, and international partners. The fact that our group of students had a shared interest in development, humanitarian emergencies, and health, seems to be a promising start for more comprehensive responses. Of course, we had to commemorate our trip to l’Organisation des Nations Unies with a few (thousand) group pictures. The afternoon was filled with presentations by the International Committee of the Red Cross (ICRC) and the International Federation of Red Cross and Red Crescent Societies (IFRC). The ICRC taught us about the differences between the ICRC, the IFRC, and the National Red Cross and Red Crescent movements, and how they work together, as well as the importance of International Humanitarian Law (IHL) and some of the challenges the ICRC faces: multinational forces, counter-terrorism, and the protection of medical missions. It seems that as wars have become more complicated, so has the work of many organisations. However, William Carter and Gry Tina Tinde from the IFRC reminded us that many old problems continue to persist in the world, such as diseases like cholera and tuberculosis, and the sexual abuse and exploitation of beneficiaries and staff by humanitarian organisations. It is vital that we change institutions and set agendas in such a way that these long-standing issues receive the attention they deserve. We ended the evening at Indian Curry House, where the quiz mistress PAXLAYLA GALE-SANTOS returned! She tested our knowledge of London, pop-culture, and of course: Switzerland. Admittedly, the debate about whether Switzerland has 3 or 4 official languages was so passionate, you’d think we were delegates deciding on a parable in a UN resolution. I like to think it was the delicious mango lassi going to our heads, and, maybe subconsciously, us trying to extend our last shared night in Geneva. After we checked out of our hostels, Airbnbs and hotels, we met for our final programme at Médecins Sans Frontières (MSF). 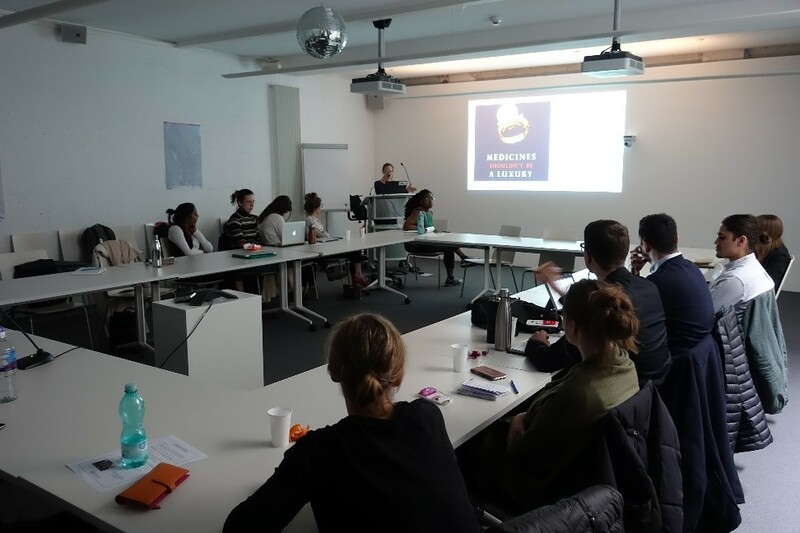 Here Andrea Karstetter and Sophie Weidenbach told us about the origins and principles of the organisation. While MSF shares three of the same principles as the ICRC – neutrality, impartiality and independence – the MSF believes it has a moral obligation to speak out when it witnesses atrocities and human rights violations. In some instances, this may prevent access to vulnerable populations, but in others it puts pressures on national governments to change their behaviour. 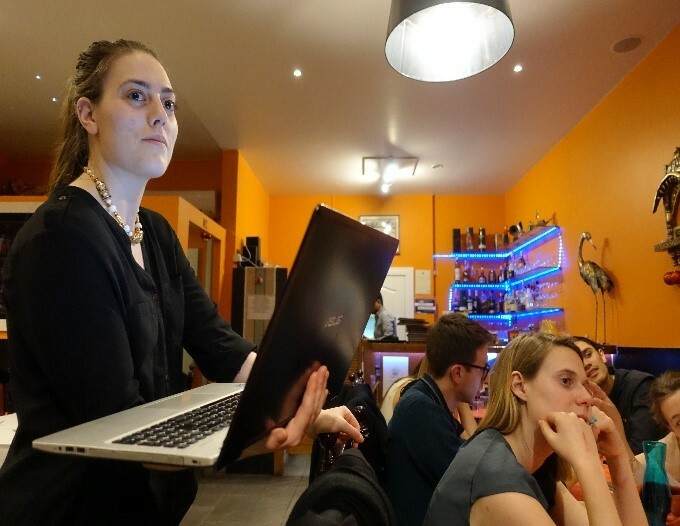 Afterwards, Katy Athersuch, Senior Policy Adviser for the MSF Access Campaigns, talked about the main challenges to achieving universal and affordable access to medicines. She stressed that the pharmaceutical industry’s focus on making profits and getting patents for treatments has led to a dominant focus on creating expensive medicines, tailored to richer – usually western – patients. An important recommendation to our future selves is to question the status quo, to work with rebels who aim to change institutions, and to focus our energy into changing the incentives of businesses and governments to ensure sustainable financing and research into neglected and tropical diseases. This concludes our trip to Geneva! For some students, it was an opportunity to gain access to new contacts and resources for their dissertations. For others, it was an opportunity to learn more about sectors and organisations they were previously unfamiliar with. For me, it was a great professional experience –I enjoyed creating the programme, and the trip gave me the opportunity to network and learn first-hand about what organisations are looking for in their staff. 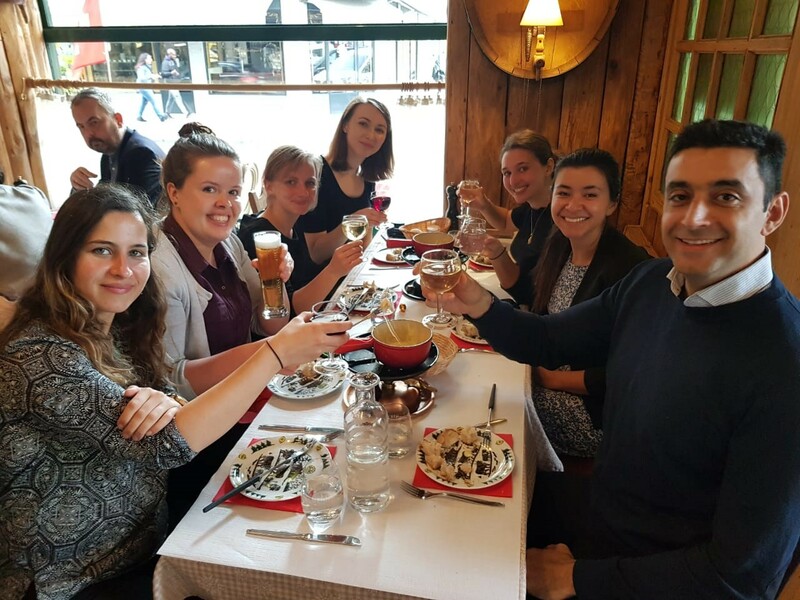 While most of us visited Geneva for the first time, I have a feeling that many of us will find ourselves back at this ‘Disneyland for Diplomats’– to work for one of the many organisations or to get another taste of Swiss fondue. At the very least, the trip taught us there’s still a lot of work ahead of us to make this world a better place. The question is not if we will, but how and when. Jamie Holton is an MSc International Development & Humanitarian Emergencies student in the Department of International Development at LSE. She was co-president of the student Geneva Trip Committee.